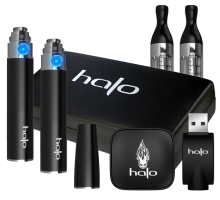 There is little doubt that Halo Cigs are one of the more popular brands of electronic cigarettes that are found on the market today. Their sleek appearance, variety of unique flavors and solid marketing campaign has garnered them plenty of attention. One of the most unique aspects about Halo Cigs is that they come in two different versions. The first is the typical e-cig shape that most of us are familiar, called the G6 and the other is the Triton Tank, a larger e-cig that delivers longer lasting flavor in a unique package.Essentially, the two different versions of the Halo Cigs means that you get a wide variety of choices, especially considering the numerous starter kits that offer different colors for the e-cig cartridges that allow you to individualize your choice. 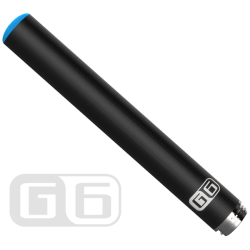 We focus on the G6 Halo Cigs model in this review. Great brand of electronic cigarettes, good performance and different options. 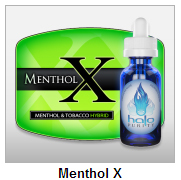 Halo Cigs features some of the most unique flavors available. Certainly worth the investment. 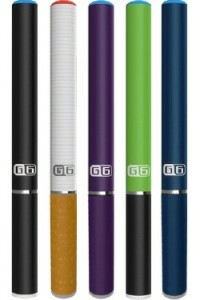 The G6 version resembles most e-cigs in terms of appearance as they reflect the classic traditional cigarette appearance. However, there are a myriad of color combinations that can be chosen as well as a few other extras. The other option is the Triton Tank System. It is a larger, eGo style electronic cigarette, and although it’s bigger, it’s still smaller than a personal vaporizer. They also have a variety of colors such as black, yellow, lime, iridescence and so forth. The larger sized eGo styled Triton Tank system has a much bigger battery and tank to not only contain more e-liquid but outperform and outlast smaller models for the heavy vapors and advanced users alike. With variable voltage and pass through power, they are a step up from traditional e-cigs. 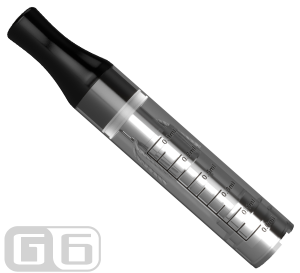 A really cool feature about Halo Cigs, is that you can use a Mini Triton Tank on their traditional G6 electronic cigarettes instead of a cartridge. Giving you an option for re-fillable designs and take advantage of purchasing e-liquid bottles. The mini triton tank also outlasts a regular cartridge and since it can be washed and re-used, it will save you money in the long run. If you prefer the cartomizer cartridge but still want to refill, they also offer blank cartomizer cartridges. Overall, we highly suggest using a mini tank and e-liquid bottles, but since they require some maintenance to wash and re-use, it may not be for those looking for the simple disposable cartridge. If you’re thinking of getting the Triton Tank System we highly recommend you do so by purchasing the starter kit. Continue on to our pricing section below where we take a look at what’s included in the starter kit. In both the G6 and Triton Tank versions, the vapor quality was certainly good along with the volume that could be pulled in with each puff. It should be noted that the Triton Tank version is larger, easier to handle and provided a fuller experience when it came to the quality of the vapor product. In terms of overall flavor delivery, triton tanks win over cartridges but obviously require minimum maintenance. When it comes to vapor quality itself, a lot does depend on the personal taste of those who use the product. Since their e-liquid is PG based, the vapor visually looks less thick than a full VG, but has a stronger throat hit. Halo Cigs were consistently good and provided solid results. Cartridges last almost 200 puffs but after using the mini tank, it’s hard to go back. Using a tank provides a bolder flavor and outlasts cartridges, as stated previously, we suggest it as it’s a nifty inexpensive upgrade. The Halo G6 batteries are offered in 9 different colors, one of which is made to resemble an analogue, with a soft thin layer of what feels like rubber or silicone. It adds a certain comfort while holding instead of the familiar cold metallic batteries we usually see. They all come in two sizes; mini 65mm and Standard 78mm, but you can also buy separate XL 102mm batteries in Jet Black only. You can pick between manual or automatic, we tested both and we’re very pleased. The manual fire button is solid and comfortable and both models offered very respectable battery life. The standard model was enough for myself and being a light user, it would usually outlast a full day but it rates for a good 200+ puffs. Compared to other top brands, Halo held its own on battery power. The Triton offers a couple of options at batteries. The batteries capacities range in number from a paltry 400mAH for the lowest level battery going all the way up to their high capacity model rated at 1300 mAh. These batteries, like the Triton Tanks are available in nearly a dozen colours so you can mix and match whatever colour combo you see fit. For those looking for total control of their vaping experience you may want to take a look at their variable voltage battery. This unit basically consists of a small dial at the end which can be used to adjust the voltage ouput of the unit and subsequently the throat hit you end up feeling. The higher the voltage the thicker the vapour will be. I find that this is a particular useful ad on especially for long time smokers. This can be thought of much in the same way some smokers squeeze the filter of their cigarette to get a smoke with more nicotine. If you were one of those smokers who would unconsciously (or knowingly) squeeze your filters to get more nicotine then this is for you. The most unique thing about Halo Cigs is their premium e-liquid flavor collection. Even the names are unique, giving you no idea what to expect. The e-liquid is PG/VG blend but heavier on Propelyn Glycol, making it a harder throat hit so flavor becomes very important. We found the menthol to be very strong and bold and the Belgian Cocoa and other gourmet flavors are to die for. For the tobacco flavors we did try, well they are unique and very tasty but feature more of a hint of tobacco flavor than actually tasting like tobacco. That’s probably a good thing too. 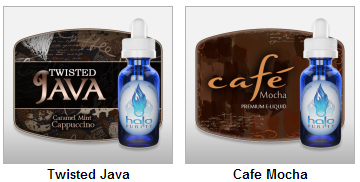 Halo Cigs produces their e-liquid with the best ingredients and nicotine available and we have to say they did well. Some of the e-liquids are so unique that you might need a little time to get accommodated and used to the flavors. There is also a sample pack that mixes and matches the choices for you as well as a fusion bottle of plain premium e-liquid with the nicotine strength of your choice, allowing you to create your own flavors. While arguably there could be more flavors, we found these to be more than sufficient. Overall, the warranty for Halo Cigs is rather limited when compared to many other manufacturers who offer up to a year or more on their starter kits While the tank and cartomizer are basically non-moving parts with little chance of being defective, the fact that the battery only has a 60 day warranty is rather annoying as well as the 90 day warranty for each charger. This means that if the product is defective right from the start, it pays to have it dealt with immediately. They do offer a 30-day money back guarantee if you decide you are unsatisfied for any reason, is allowing you to try Halo Cigs risk free. The first word that comes to mind with Halo Cigs is “cool”, but is being cool good enough compared to the stiff competition? The answer is yes. The price factor is a huge plus, and in our books Halo Cigs one of the most affordable options offering really a high quality vaping and e-cigarette product line. As for the flavor and vaping quality, we were very impressed with the Triton Tank version which packed in more flavor liquid for longer lasting results. For those who are looking at having a longer lasting, more robust version of the standard e-cig, we can highly recommend the Triton Tank, arguably one of Halo Cig’s best achievements. 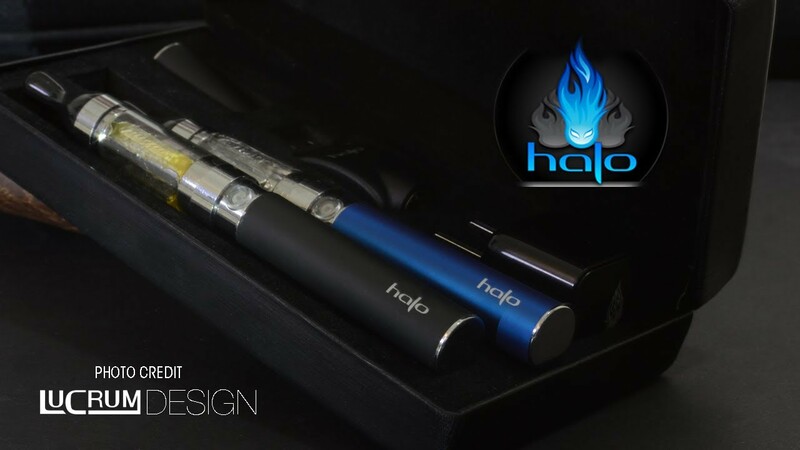 Overall, the Halo Cig products are above average in terms of quality, design, and performance. We can recommend both versions, the G6 and Triton Tank as they are very well priced for what they offer.